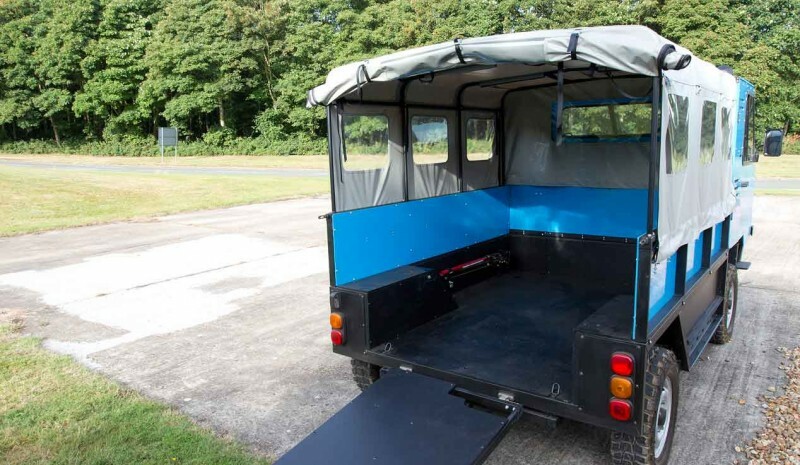 Presented in London by the Global Vehicle Trust Company, It is designed to provide low cost off-road mobility in remote areas Africa and developing countries in other continents. In these places there is a great need to improve transport for both everyday life and for emergencies. The OX is designed specifically to face a lot of challenges of mobility, and to address crucial everyday tasks like carrying water or transport grain, fertilizer or building materials. There is no vehicle similar to it and has no direct competitor. The OX originated with the vision of a man named Sir Torquil Normal. Five years ago, he founded the Global Vehicle Trust (GVT) to pursue his ambition help people in developing countries by providing economic mobility. GVT subsequently hired renowned car designer Gordon Murray to create a revolutionary light truck. 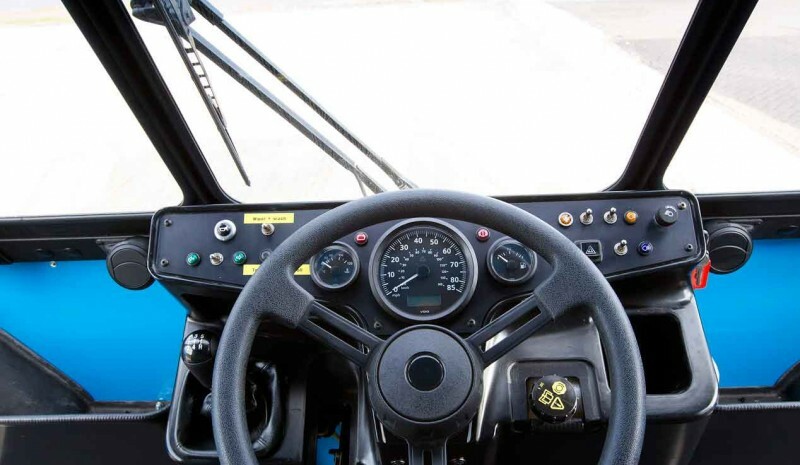 The vehicle is characterized by high above the ground, excellent angles of attack and exit, extensive tour for wheels, a versatile cargo space and three seats in the cabin. Gordon Murray design for OX is not revolutionary, but his removable format drastically changes the way the vehicle can be purchased and transported, which will serve to reduce time and especially to unify costs. OX has been It designed to function perfectly for all types of terrain, but without forgetting a huge capacity. Its compactness is a key achievement in the project OX: the overall length of the vehicle is less than that of a large SUV, yet You can carry up to 1,900 kg (Approximately twice the capacity of a pick-up media) with cargo volume 7 cubic meters. OX cabin provides space and comfort for three people, and the driver's seat is at the center. This provision because the vehicle is aimed at countries where people drive on the right and countries where it is on the left. 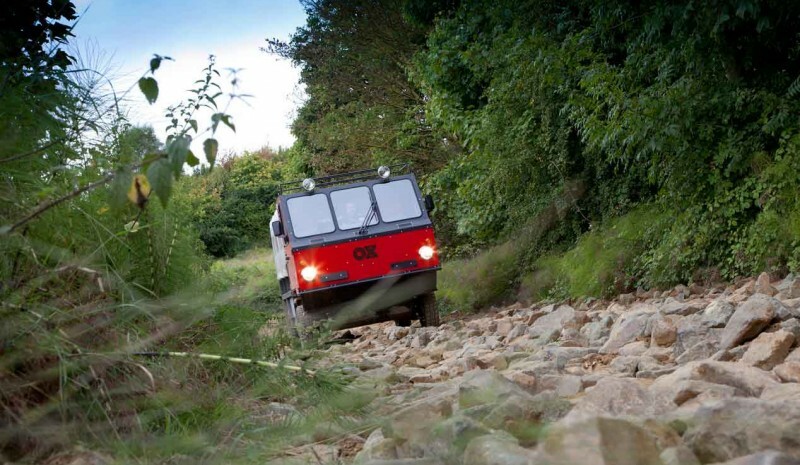 Off-road capabilities are crucial for developing countries, and OX is designed for this purpose. Two-wheel let you operate with ease on a wide range of surfaces. To facilitate commercialization in remote locations, the truck is removable and can be packaged. Three operators in London it disassembled and packed in just six hours. In the places of local companies will be people trained to assemble and take charge of their maintenance. Other innovations are its OX tailgate, which completely separates the vehicle and It can also be used as a loading ramp. The rear seat also has a dual function, as it can be disassembled and used as platforms under the wheels to help the vehicle to pass through areas of loose sand. The OX is inspired by the 'Africar', a vehicle with a similar philosophy I saw in the 80s This project shares some characteristics of that vehicle, but its execution is radically different. OX was a dream just six years ago, but is now a real production model running prototypes have completed a comprehensive testing program, "explains Sir Torquil Norman '. For his part, Professor Gordon Murray says that 'design OX is undoubtedly one of the most interesting and challenging in which I participated during my 45 years as a designer, and that includes my years in Formula 1' . The project now It requires the collaboration of sponsors and investors. Global Vehicle Trust believes OX will attract a lot of potential sponsors. "The response we have received from some of our contacts in Africa and agencies has been very positive. The OX will make a difference, being part of something groundbreaking and unique. Above all, it presents a real opportunity to make a fundamental and lasting difference in the lives of many people '.